While Marvel Studios is turning heads with their issues with the directors of several properties, another Disney subsidiary, Lucasfilm, continues to sign quality directors to do their stand-alone properties. 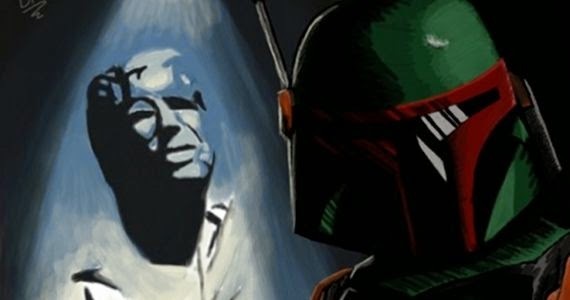 There have been rumors for just a handful of stand-alone Star Wars properties, the most popular of which focus on Boba Fett, Han Solo, and Yoda (although, the possibilities are endless). Disney recently announced that Godzilla director, Gareth Edwards, would be the first director to introduce a stand-alone Star Wars movie, but we already have an official director for a second stand-alone film. This morning, Lucasfilm announced that Josh Trank of Chronicle fame will also be directing a stand-alone Star Wars movie. Lucasfilm clearly has a vision for these spin-off properties by their selection of directors like Edwards and Trank, who are both passionate up-and-coming directors of geeky properties with a history of creating budget efficient intimate stories. It's not yet announced with director will be helming which story, but I can't imagine a bad scenario with these two being in charge of a Star Wars property. This also means there are 3 Star Wars movies in the immediate pipeline, meaning Star Wars has more directors attached to incoming projects than Marvel Studios. If you though the market was saturated with comic book properties, get ready for the flood of Star Wars content in theaters and on TV. George Lucas started out as a visionary filmmaker that could make movies like Star Wars out of a shoestring budget. It wasn't until he had access to much higher budgets and expensive special effects that Star Wars veered away from the heart of the magic he captured with the original trilogy. Directors like Edwards and Trank bear a close resemblance to the Lucas of the original Trilogy, and Edwards has already proven he can make the big budget transition without getting lost in the CGI. We'll see how Trank does with the Fantastic 4 reboot, but Chronicle definitely speaks for itself. The decision to go with directors that resemble a young Lucas is a key indicator of Lucasfilm's desire to recapture the magic that so many felt in the original trilogy. Star Wars fans can breathe a sigh of relief in knowing that, although Lucasfilm was bought by the Disney machine, Star Wars is on a journey back to it's roots.